The presumptive incoming chairman of the Senate’s main government oversight panel plans a “businessman’s approach” to policy and management that includes streamlining the Homeland Security Department, aligning federal pay with the private sector and new coordination with House Republicans in rolling back burdensome regulations. 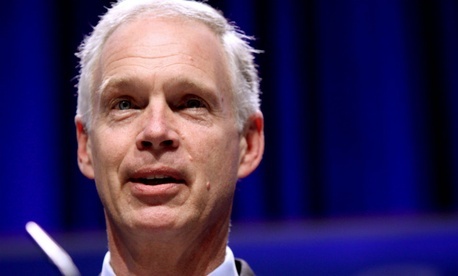 Sen. Ron Johnson, R-Wis., in an interview with Government Executive, was careful to praise the dedication of the federal workforce. But he also warned that too many agency managers are “constrained and hamstrung’ in their ability to hire and fire, adding that a move toward more merit pay could be high on the agenda of a reorganized Homeland Security and Governmental Affairs Committee. Johnson would also like to pursue a cybersecurity bill in light of the recent array of hackings and breaches of both government and private-sector systems. Just Monday, the U.S. Postal Service announced a breach of its computer systems that put at risk the personal information of its employees. One of the big changes coming to Washington when Republicans take control of the Senate in January will be greater use of joint strategies between Senate and House Republicans. Johnson has reviewed the dozens of House-passed and proposed bills to curb regulation and has “reached out” to counterparts on the House Homeland Security and Oversight and Government Reform panels. Johnson said he has great respect for current panel Chairman Tom Carper, D-Del., calling him “a man of integrity.” Next Congress the panel members “will get along and work in a bipartisan fashion the way [former Sen.] Joe Lieberman [I-Conn.] and Susan Collins [R-Maine] did” in previous Congresses, and the way retiring ranking member Tom Coburn, R-Okla., got along with Carper, Johnson added. But at the same time,” Johnson said, “the Republican majority has different priorities, so there will be more robust oversight investigation efforts under the Permanent Subcommittee on Investigations “looking at the harm that government does to people through regulation and the tax system,” he said. The current chairman of that panel, the retiring Sen. Carl Levin, D-Mich., focused too much on “business bashing,” according to Johnson. The committee’s entire subcommittee structure is being reviewed with an eye toward reorganizing it more “like a business,” so that subcommittee work filters up to the full committee, Johnson reported.